This spaghetti strap tank top is very stylish and will go well with most of your casual leg wears. 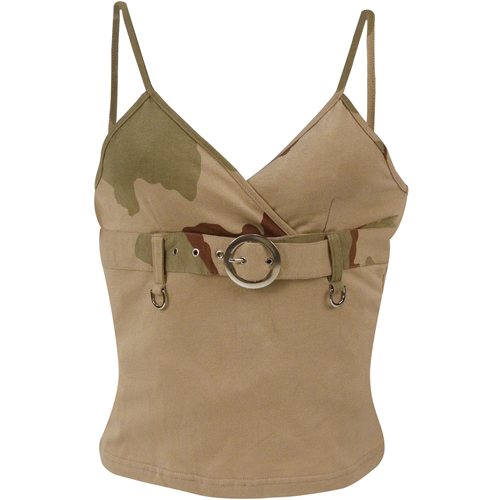 It is especially good for those warmer days when you don’t want to be enclosed in a very cozy top. The material is cotton, to ensure that you get the best comfort. 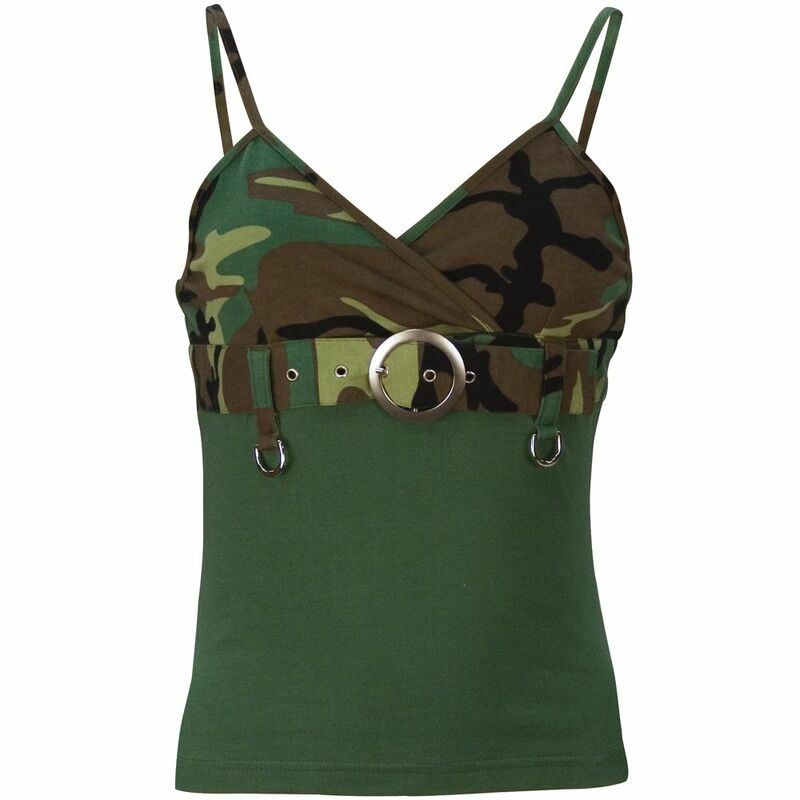 The main color of this top is olive drab, with a few more colors thrown in around the chest to give it a ‘camo’ look. It has a very stylish belt attached to the chest, on top of the overlapping design. There is a neat buckle and two rings to add to the design.